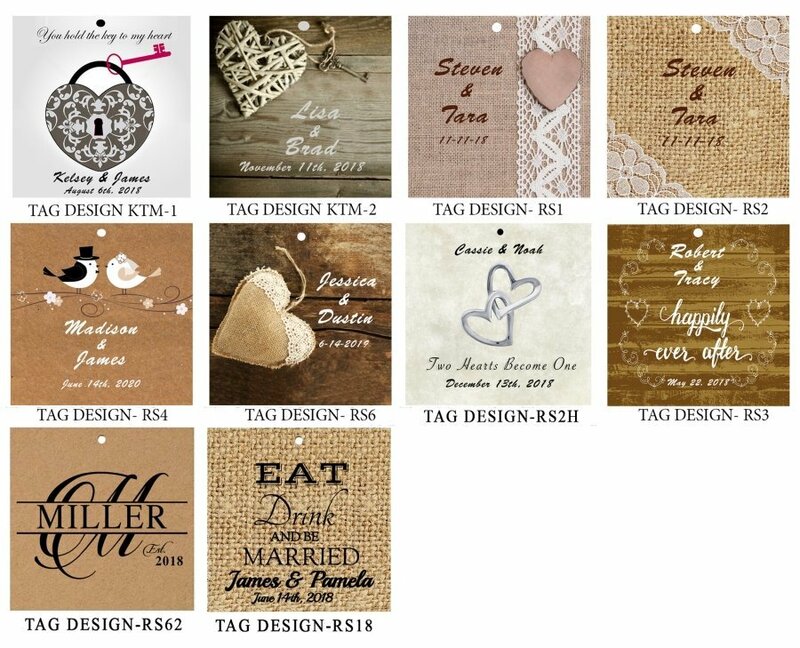 We have the perfect favor for you on this special day when your two hearts become one . 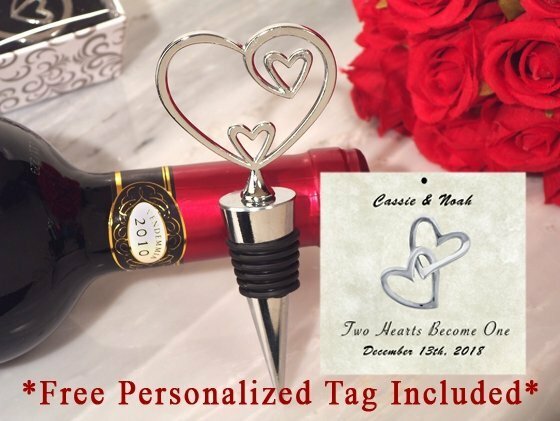 A Cassiani collection exclusive these stylish silver chrome heart bottle stoppers are sure to appreciated by your guests. 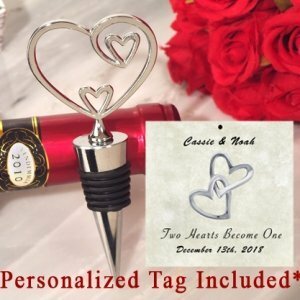 Each favor has a unique heart design with two loving hearts in the center that become one on this special day, each heart topper is attached to a metal base and measures 4.5" long. Every time your guests sit down to enjoy their favorite vintage they will be reminded of your generous gift.